Corsair has announced its intention to acquire Munich-based Elgato Gaming. If you head on over to the Corsair site you can see that Elgato Gaming products are already linked to from the main product menu but the link goes offsite to the current Elgato home page. While the gaming gear and tech has been taken under Corsair's wing, the Elgato Eve connected home portfolio will continue to be an independent and separate entity under the name of Eve Systems. A brief glance at the Elgato Gaming site will make it obvious why Corsair got out its cheque book. The video hardware firm offers a wide range of content capture hardware of different capabilities, in both internal card based forms and external breakout box type products. With names such as the HD60 and the 4K60 Pro, you can get a good idea of these product's capabilities before clicking through. 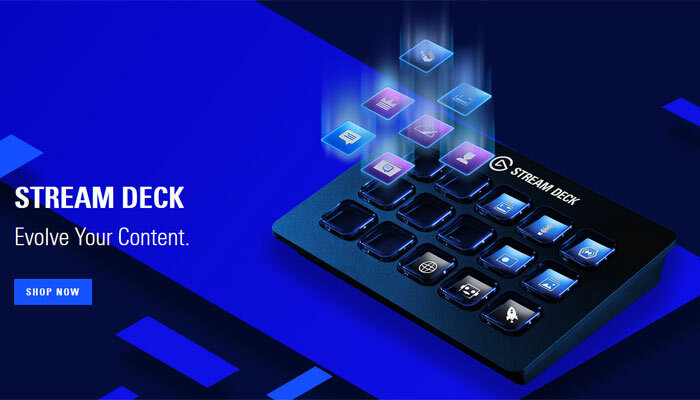 The Elgato Gaming capture hardware is backed up by streamlined accessories such as the Stream Deck which can help you quickly switch scenes, launch media, adjust audio and more - while broadcasting. Elgato Gaming's other headline products are a new Thunderbolt 3 dock, for creatives on the go, and a handy collapsible green screen chroma key panel. Corsair's range of components and accessories was already rather wide, ahead of this acquisition. Only a few days ago HEXUS reviewed its Vengeance RGB Pro DDR4-3,600 memory. At the other end of the PC business spectrum it builds and sells complete PC systems such as the Corsair One. 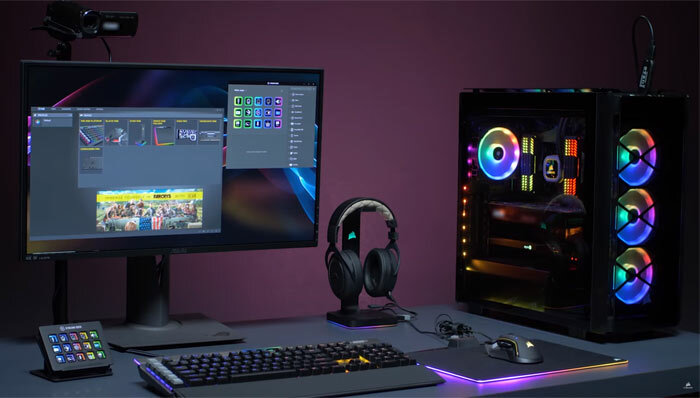 I would expect the Elgato Gaming streaming hardware to be given Corsair branding in the coming weeks / months, as it is integrated into the company. Gigabyte launches the Aorus M2 Gaming Mouse at £21.99 Windows 10 updated to enable USB 'Quick Removal' default QOTW: What wattage is your power supply? Elgato Thunderbolt 3 Pro Dock QOTW: How fast is the storage in your PC? Slightly surprising aquisition since Elgato is mostly known for their Apple products. I took one quick look at the Elgato page and, being a lover of weird peripheral stuff that most people consider junk, I immediately zeroed in on that Stream Deck. It's a box of buttons, essentially. A TenKey pad, pretty much… but each key has a tiny LCD so you can customise it to show whatever you want. I've seen whole keyboards with this before, but they were insanely expensive. So, I'm betting Corsair will start incorporating this into their keyboards, similar to how Logitech often had whole ranks of macro keys down the left side of theirs (still loving my old G19 keyboard!). It would be good if this leads the market to grow up from obsessing with “more bling” to “more buttons”. It would also be good if bacon could fly straight to my door too. I used to rock the whole ‘more buttons’ thing, but got accused of being a childish relic from the old days of gaming…. and then RGB came out and suddenly I was now a child who knew nothing of what real gaming used to be about…. Meanwhile, there's an overriding mindset that nothing is worth it unless it operates at, or has a response time, a hundred million bazillion times faster than any human being can make use of in the first place…!! Shoot someone outside your house, then barricade yourself inside.